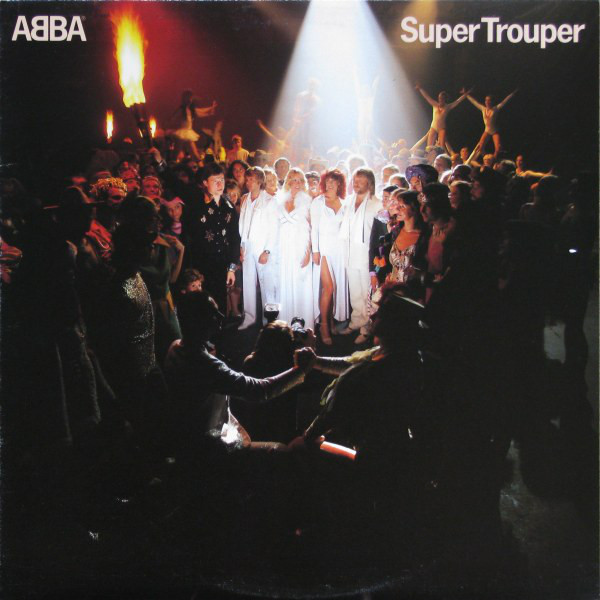 They were a strange thing, ABBA albums. The group were just so very much a singles one. Their singles were so good, and each album produced three, maybe four singles or, if not as many, a ‘b’ side that became well known. So, each album had its exceptionally well-known tracks and the others invariably became thought of as “filler”. Given the quality of those singles, it was not surprising. This album, as with all the later ones, is not a bad collection, to be honest. After a brief flirtation with disco and its layered, synthesised rhythms on the previous album, a more “back to what made them famous” approach was taken here, and a sort of return to that melodic pop-rock sound was seen. There was, however, a bit of Swedish melancholy to be experienced here in Bjorn and Agnetha washing their dirty linen in public in the dramatic and, despite its miserable message, strangely uplifting “The Winner Takes It All”. Agnetha deliberately accentuated her Swedish accent in the song just to bug Bjorn, because she knew he hated her doing that. 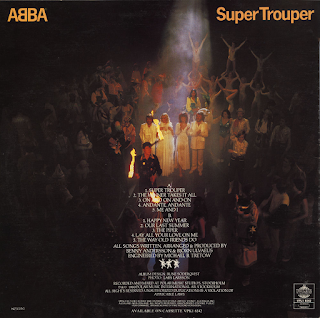 The ostensibly joyous “Super Trouper” was actually quite morose in its verses, Agnetha describing how alone she felt calling someone (presumably her new lover) from a gig in Glasgow and how lonely she felt singing to twenty thousand of her fans. The Beach Boys-influenced “On And On And On” was really quite a cynical, “brassed-off with the whole fame thing” song that reads as quite a surprise if you read the lyrics. All about meeting tedious people at showbiz parties in Stockholm society. Not very “Dancing Queen” at all. In addition to these world-weary observations there are the nostalgic songs, wishing things were like they were before - “Happy New Year”, the lovely, melodic “Our Last Summer” and the almost tear-jerking and anthemic “Like Old Friends Do”. “Lay Your Love On Me” is the only nod to the sort of dance grooves that had influenced the previous year’s output. It was actually pleasant enough. Personally, I didn’t mind any of their disco stuff. Everyone was doing it in 1979. It always had a great hook, as you would expect from Ulvaeus and Andersson. That leaves “Andante”, “Me And I” and “The Piper”. “Andante” has an almost classical intro and is generally a light, loved-up typical ABBA song, with perfect harmonies. It could have been from 75-76. Something sad about its descending strings though. Behind the apparently joyful sheen is a mournful nostalgia. “Me And I” is a dramatic, somewhat overblown piece of Euro-pop. Again, it is a throwback to the pop glory days but it utilises some disco electronic brats and those strange “spacey” engineered vocals. 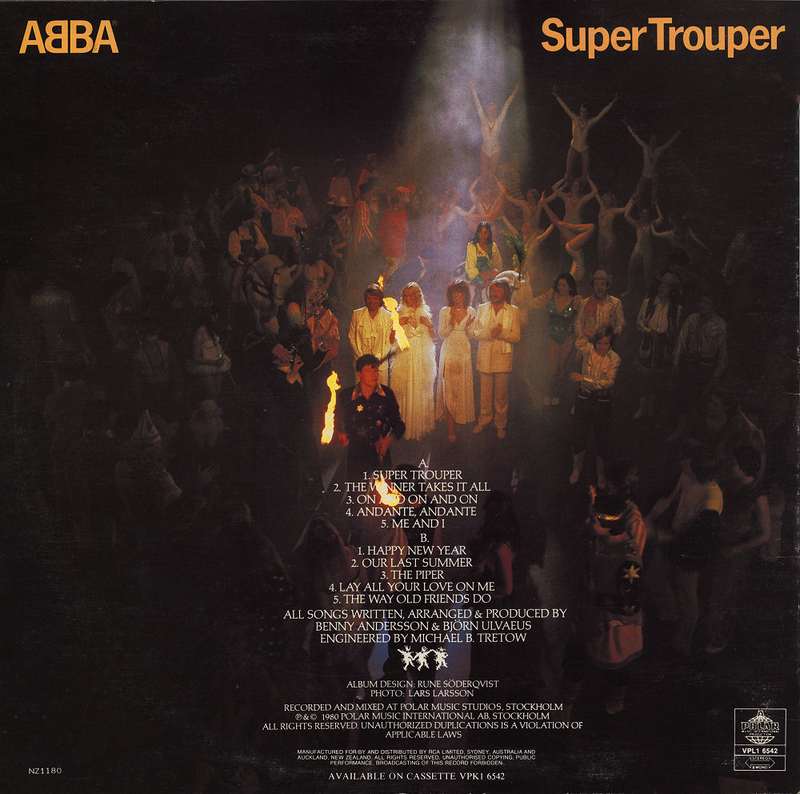 The chorus is very “Brotherhood Of Man”, sounding a lot like “Angelo”from 1977. “The Piper” has those immaculate harmonies again, some military drums and some medieval-style flute over a typical early 80s disco-ish bass. A bit of an odd song to categorise, particularly with its Latin lyrics in the middle. God knows what it was all about, to be honest. As I said, strange things, ABBA albums.